Gallagher Chiefs Head Coach Colin Cooper announced today lock Brodie Retallick will join loose forward Sam Cane as co-captain of the Gallagher Chiefs for the upcoming Investec Super Rugby season. 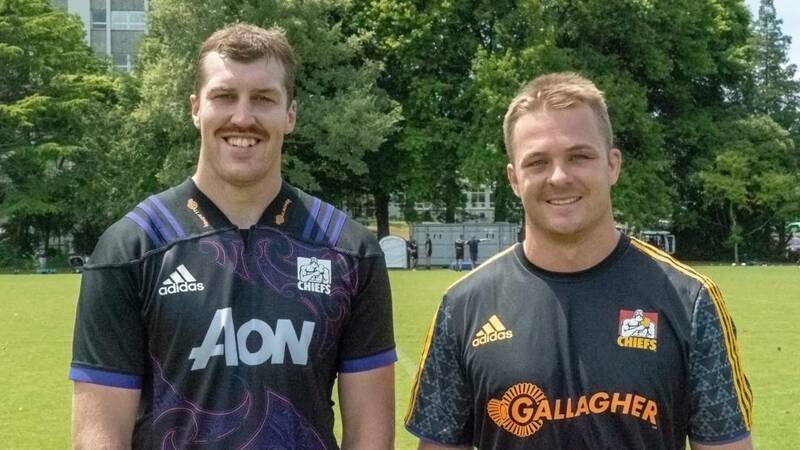 27 year old Retallick will join Cane who has co-captained the team since 2016. Retallick has been a formidable member of the Gallagher Chiefs since his debut in 2012, and played his role in the Gallagher Chiefs 2012 and 2013 Investec Super Rugby title wins alongside Cane. Just shy of a 100 caps for the Gallagher Chiefs Retallick has been a proven leader on the field with his power, athleticism and rugged defence. The 2.04m lock has notable attacking ability and collected the 2018 IRP Try of the Year at the 2018 World Rugby Awards for his outstanding try against the Wallabies. Cane has co-captained alongside Charlie Ngatai and Aaron Cruden for the past three seasons and has continued to thrive as a leader of the Gallagher Chiefs both on and off the field. With a 106 caps to his name Cane continues to lead from the front with his strong work ethic and knowledge of the game. His return to the field will be welcomed near the end of April. The Gallagher Chiefs will play their first pre-season match against the Blues in Kaikohe this Saturday afternoon at 3.00pm before heading to Brisbane to play the Queensland Reds on Friday 8 February. The 2019 Investec Super Rugby season for the Gallagher Chiefs will kick off on Friday 15 February at 7.35pm at FMG Stadium Waikato. You can be a legendary supporter this season and cheer on the team and our two co-captains with a 2019 Chiefs membership. Click here for all the details and to choose the best membership for you.